Lookin~ to get back into some classic footwear? 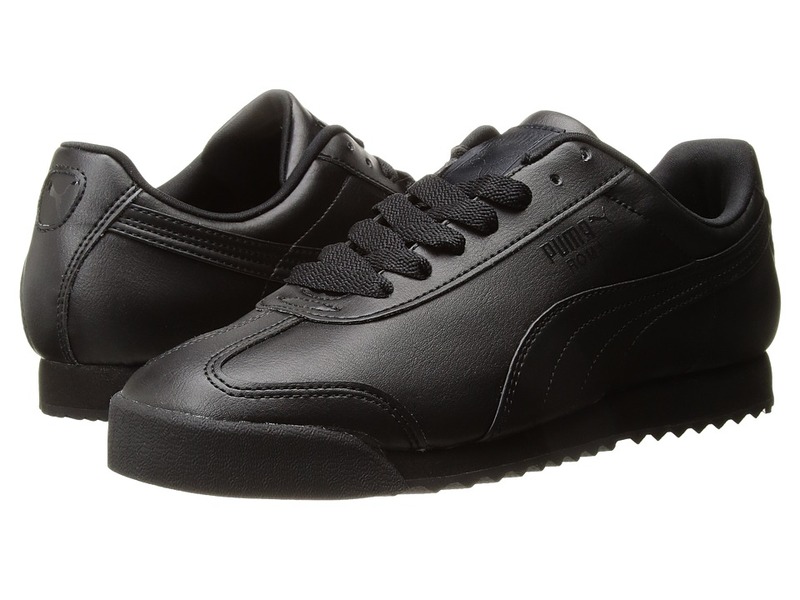 The Roma Basic from PUMA&amp#8212with its vintage ~60s flava&amp#8212lets you roam the streets in fresh style and comfort! Synthetic leather upper. Lightly padded collar for a snug, comfy fit. Textile collar lining with a cushioned footbed for all-day comfort. A traditional lace-up front with a lightly padded tongue combines to give you a secure fit. Woven PUMA label on tongue. Classic PUMA Roma gold or silver foil detail on lateral side. Abrasion-resistant rubber toe bumper. Two-tone EVA midsole provides ample cushioning and shock absorption. Rubber outsole for traction. Imported. Measurements: Weight: 11 oz Product measurements were taken using size 11, width D - Medium. Please note that measurements may vary by size. Weight of footwear is based on a single item, not a pair.